Find out how SUN Countries in Central and West Africa marked World Breastfeeding Week 2017 (WBW2017) under the theme “Sustaining Breastfeeding Together”, highlighting how breastfeeding provides the essential nutrients that infants worldwide need to grow, develop and survive. In Mali, the WBW2017 inauguration ceremony was held on 1 August in SOS Children’s Village Sanankoroba. The event was led by Professor Samba Ousmane Sow, Minister of Health and Public Hygiene, with technical and financial partners in attendance alongside representatives of administrative, political and health authorities from Koulikoro Region. The campaign featured a series of awareness-raising and mobilization activities to showcase the many benefits of breastfeeding. Prof. Samba Ousmane Sow, Minister of Health and Public Hygiene. In the Democratic Republic of the Congo, the Ministry of Public Health used WBW2017 to call on the community as a whole to protect, promote and support breastfeeding. The emphasis was on securing additional funds to implement infant and newborn breastfeeding policies, programs and interventions, and especially on boosting the percentage of children breastfed between birth and 2 years of age. The ministry also urged the community to fully enforce the International Code of Marketing of Breastmilk Substitutes, which states that breastmilk substitutes cannot be promoted, advertised or sold as being suitable for infants under 6 months of age. Members of the Friends of the Child Journalists Network (RJAE) were asked to help promote breastfeeding among parents, focusing in particular on exclusive breastfeeding up to the age of 6 months. The journalists attended an information day led by the UNICEF national nutrition program, where they learned about the benefits of breastfeeding and how they could play their part in promoting best practice and educating the community. 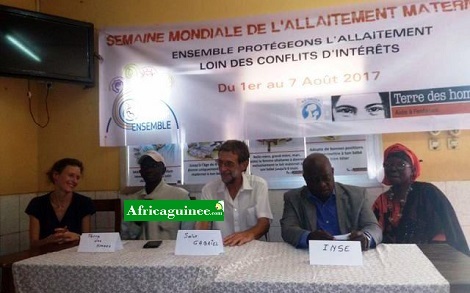 In Guinea, WBW2017 kicked off on 1 August 2017 with an opening ceremony at the Saint Gabriel dispensary in the Matoto district of Conakry — a joint event organized by NGO Terre des Hommes, the dispensary itself and the National Institute of Child Health and Nutrition (INSE). 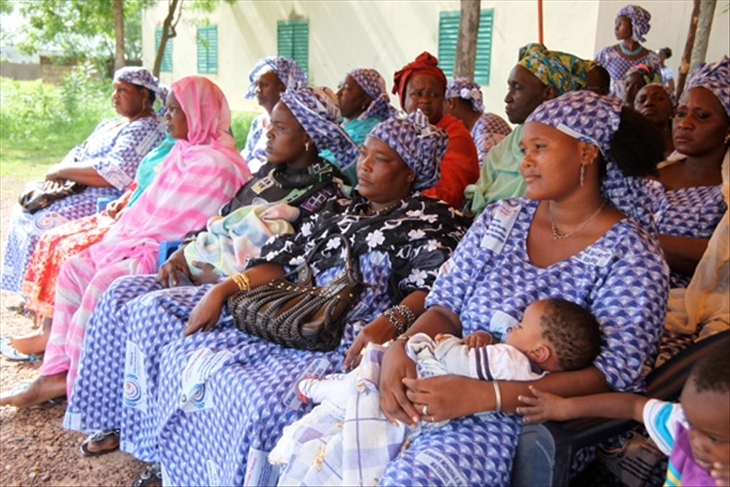 The ceremony — led by INSE director Dr. Ibrahima Kalil Koné and attended by several other guests — aimed to showcase the benefits of breastfeeding for infants. The week-long celebrations drew to a close with a ceremony attended by Djene Kaba Condé, Guinea’s First Lady. Dr. Naman Keita, health and motherhood program coordinator, Terre des Hommes. In Comoros, the WBW2017 launch ceremony took place on 1 August at Morono Urban Health Center, under the auspices of the Ministry of Health, Solidarity, Social Welfare and Gender Promotion, working in partnership with the Grande Comore Health Commission and United Nations specialized agencies (UNICEF, WHO and UNFPA). In Chad, the inauguration ceremony was chaired by Mrs. Ngarmbatina Soukate, Minister of Social Action and Family, and Philippe Barragne-Bigot, UNICEF representative in Chad. The World Breastfeeding Week is coordinated by the World Alliance for Breastfeeding Action (WABA), a global network of individuals and organizations concerned with the protection, promotion and support of breastfeeding worldwide based on the Innocenti Declarations, the Ten Links for Nurturing the Future, and the WHO/UNICEF Global Strategy for Infant and Young Child Feeding. World Breastfeeding Week 2017 (1-7 August 2017) is about working together for the common good.